Fill in your details below and we will let you know within 24 hours if we can get Deck Box: Elder Dragon Hoard GY to you with haste! 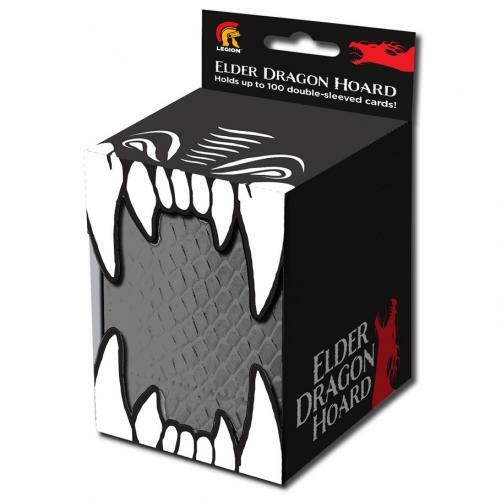 The Elder Dragon Hoard is the newest addition to the Elder Dragon line of products. It has the same textured vinyl material on the outside as our Elder Dragon Vault, but also has a smooth vinyl inside make storing and removing your decks easier!